As Executive Director of Sakura Foundation, Gary oversees the mission of the nonprofit to promote Japanese heritage and culture through programs, grants and scholarships in the community. He is also CEO of Sakura Square LLC, responsible for overseeing the operations, strategic planning and leadership of the organization. Additionally, he serves as Project Manager for the redevelopment of Sakura Square as a business, cultural and community center. Gary’s background includes over 40 years of experience in the real estate and banking industries, specializing in real estate valuation, finance and project management. A native of Colorado, he is active in the Japanese American community. 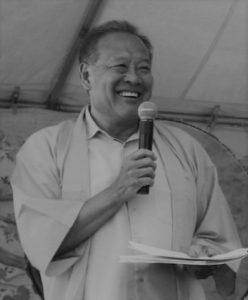 He has served as President and Board Member of the Tri-State/Denver Buddhist Temple and as Vice President of the Mile High Chapter of the Japanese American Citizens League and is currently the scholarship judging chairperson for the Japanese American Community Graduation Program. In 2017, Gary was selected as part of the U.S.-Japan Council’s Japanese American Leadership Delegation which provided the opportunity for a select group of Japanese American leaders from across the United States to travel to Japan to engage with Japanese leaders in business, government, academic and nonprofit sectors. He currently serves on the Downtown Denver, Inc. Board of Directors of the Downtown Denver Partnership and recently joined the Rose Community Foundation, serving on their Committee on Aging. A third generation Japanese American, Gary is passionate about preserving the precious gift his ancestors have given his community in building Sakura Square. He feels a strong sense of personal responsibility and pride to help maintain the rich history of the block and to enhance the cultural and community components for future generations to enjoy. Gary and his wife Deb have three grown children. Stacey is a Denver native and holds fond memories of attending Obon and the Cherry Blossom Festival in Sakura Square in her youth. Both of her parents were sent to internment camps during World War II and later relocated to Colorado. 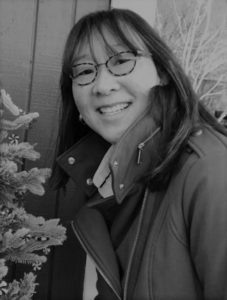 Due in large part to the experiences that her parents endured, she has great respect and gratitude toward the Japanese American, Metro Denver and Colorado communities. As a teen, her family moved to Tennessee due to a change in her father’s employment. While there she earned a BS in Human Development and Learning from Christian Brothers University (CBU) and an MS in Counseling and Personnel Services from The University of Memphis. As soon as she completed her graduate degree she moved back to Denver, which she has always considered “home.” Stacey’s varied professional experience includes counseling positions at her alma mater CBU, market research in the automotive and cable industries, office management in the commercial real estate field and affiliate relations with a local Internet services company. In 2014, Stacey joined Sakura Foundation at its inception. As Program Director she is responsible for the development, management and implementation of projects and programming which fulfill the charitable mission of the Foundation. Programming includes scholarships for graduating high school seniors, a community grant program and the Mirai Generations Leadership Program which encourages young professionals to grow their leadership skills and engage in the JA community for the mutual benefit of their personal satisfaction and the sustained growth of the JA community. Stacey also facilitates the cultural events throughout the year, the largest of which is the Annual Cherry Blossom Festival, held in late June at Sakura Square which is co-presented with Tri-State/Denver Buddhist Temple. Stacey is also Program Director for Sakura Square LLC, contributing to the strategic planning, human resources services and management of Sakura Square LLC and its current redevelopment project. Being involved in the JA community is an honor and privilege that Stacey exercises by being a member of Denver-Takayama Sister Cities Committee, Japanese American Resource Center of Colorado and the Mile High Chapter of the Japanese American Citizens League. She is also a Trustee at Simpson United Methodist Church, a member of the Class of 2017 Downtown Denver Leadership Program and a board member of PFLAG Denver (Parents, Families and Friends of Gays and Lesbians). She treasures the time she spends with her two children, Evan and Cami, especially traveling overseas to experience new cultures and communities.